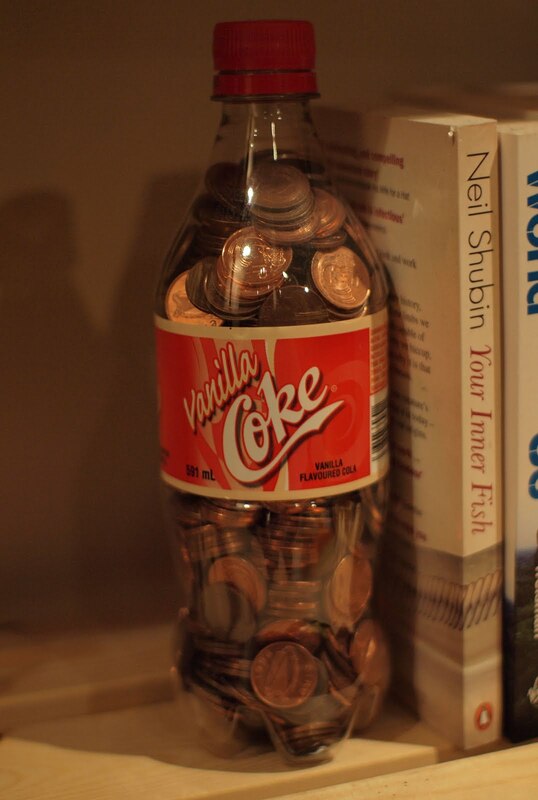 Comments: The bottle of vanilla coke was brought back from Canada by my brother along with the usual assortment of sweets. At the time the new European wide currency was going to be launched in about 2 years. 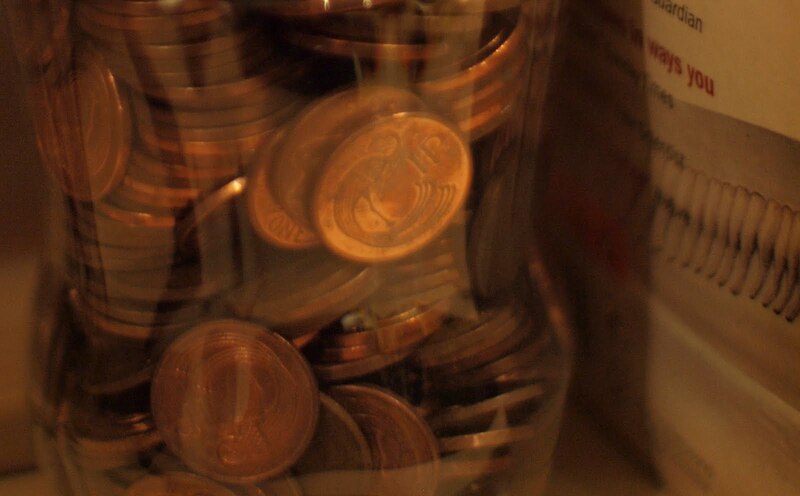 Due to a strange obsession with The Beatles and their song Penny Lane I decided to collect as many Irish pennies as a I could before they came out of circulation. I was also trying to find a penny from the year I was born, which I finally found. Over ten years later I am unsure what to do with this bottle and it’s contents. It does make a damn good bookend. One has to wonder if this is a ‘good’ use of metal. Should this be handed back into the Irish Central Bank, cashed in for Euros and allowed to be recycled? Suggestions are always welcome. It’s not a _bad_ use of metal. You could hang on until there’s an actual lack of copper, in which case you could probably swap all that for a euro or two. But then, how much would a nice bookend cost?